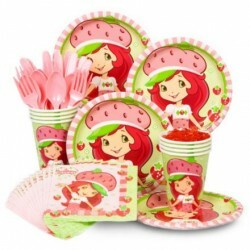 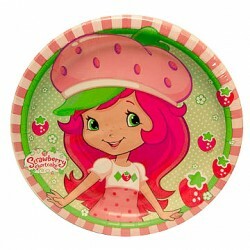 Strawberry Shortcake Party SuppliesThere are 9 products. 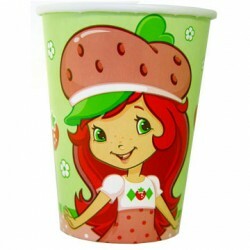 8/Pkg - Measures 9 ounces- paper hot or cold cup. 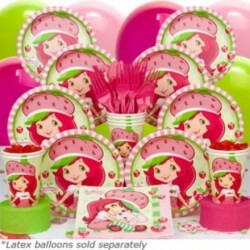 16/Pkg - Measures 13"x13" (unfolded). 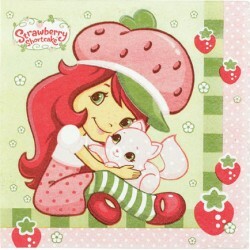 16/Pkg - Measures 10"x10" (unfolded). 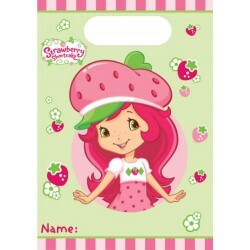 Make your goodie bags something berry special with the Strawberry Shortcake Loot Favor Bags. 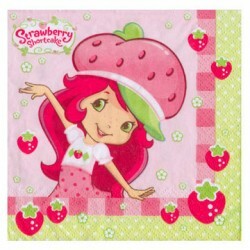 These plastic bags are a light pastel green dotted with magenta and light pink strawberries, with Strawberry shortcake in the center. 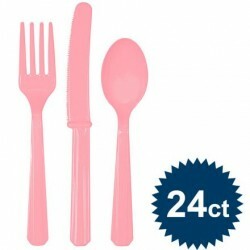 They even come with handles and a space to write a name! 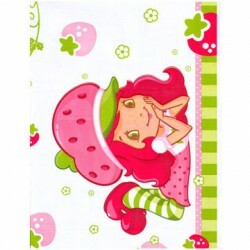 Size: 9 1/8" x 6 1/2"